Is Google+ Worth It To Businesses? It seems to be that Google+ pages are becoming more important to businesses. Since the creation of Google+, the number of business pages has grown and there seems to be more businesses gravitating towards the new social hub. Some social media experts made comments early on that Google was "trying too hard to be like Facebook" and wanting to trump the social media giant with a new wave of socializing. Today, Google+ is a great way for people to find your business via Google Places AND another SEO result! Are you tracking the right metrics in Google Analytics? Are you currently using Google Analytics? If so, then this article will help you determine which numbers you should be looking at. Analytics provides a great deal of information that can help you improve your site, social platforms and overall reach to your customers. Success can not always be measured by numbers, sales and visits but Analytics can get you as close to your definition of success as possible. 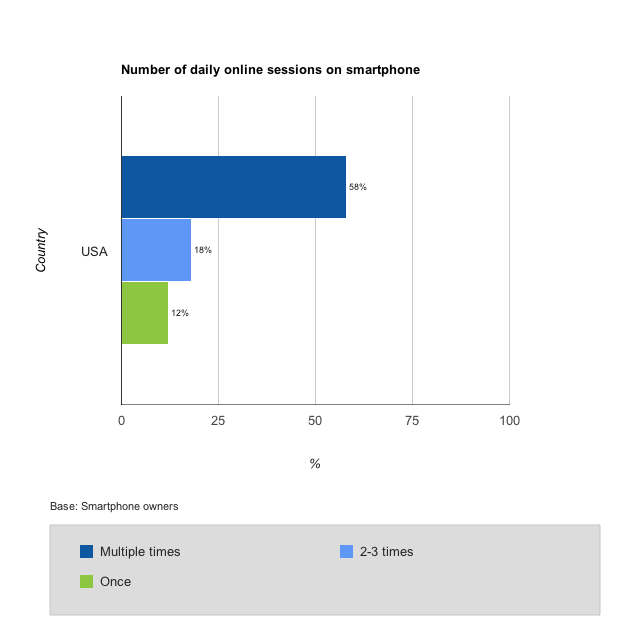 People are constantly on the go - which is where mobile becomes a main focus. More and more searches are done on mobile devices because of the fact that people are constantly moving. Overall mobile traffic increased by 139% in 2012. The average mobile search grew from 11% in 2011 to 18% in 2012.